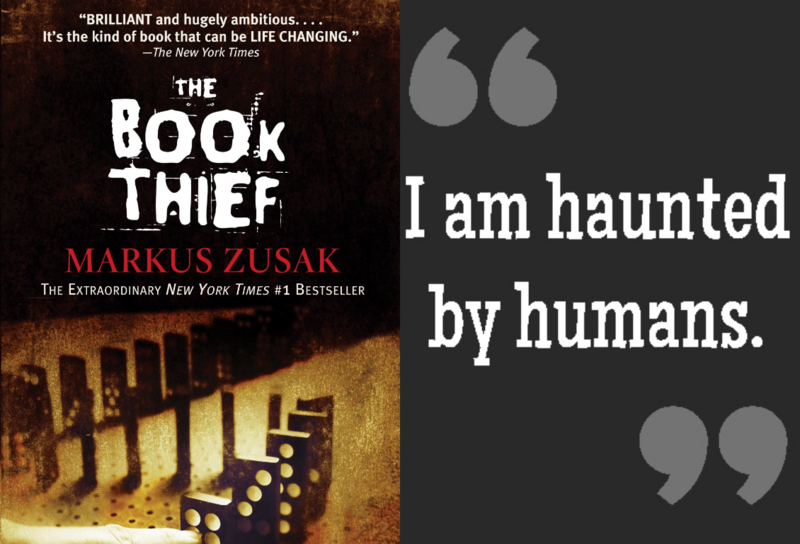 A startling opening line from our narrator from The Book Thief, Death. 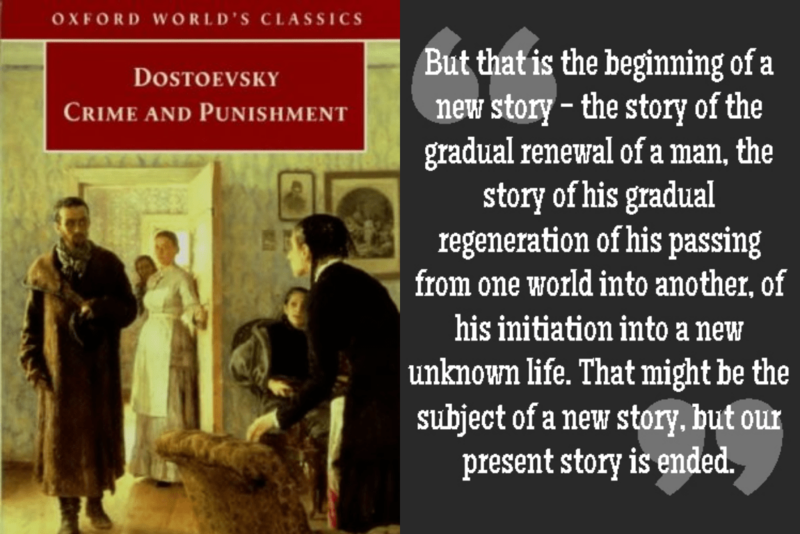 This was such a hard, and often times depressing, book to read, so I was quite thrilled when it had a very hopeful ending where, while Raskolinkov is paying for his crime, the woman he loves has promised to wait for him and he is a better man. Nearly steps on Sherlock Holmes while reading? Definitely an intriguing start! If I could have, I would have shared that entire thought process Katniss goes through as Peeta hands her flowers and makes it clear he wants them to be an item in real life. “I want to tell him he’s not being fair. That we were strangers. That I did what it took to stay alive, to keep us both alive in that arena…” Man this ending broke my heart in so many ways as I was so rooting for Peeta, and it made me want to pick up Catching Fire right away! This is next on my TBR, but I read the first little bit as a preview before buying the book, and this opening line definitely caught my attention. 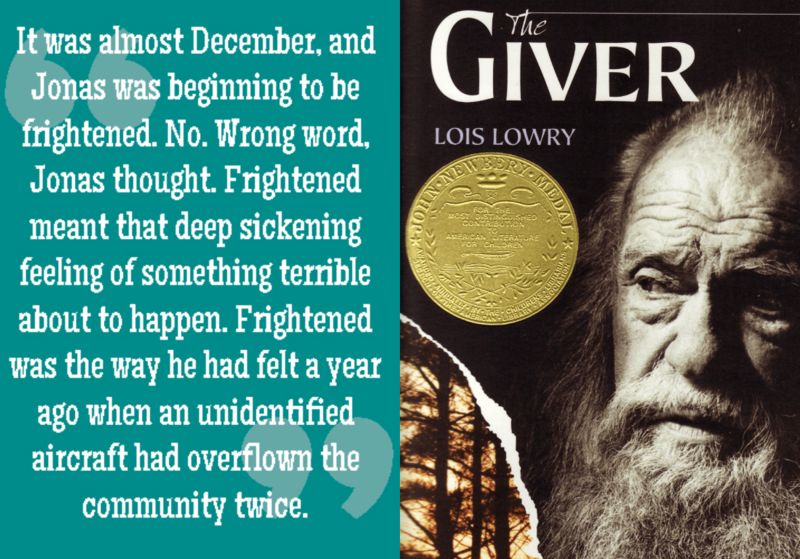 I wasn’t really sure what to expect when I first started The Giver, and for some reason this beginning stood out to me. Why was Jonas afraid now? Why had the aircraft from the year before frightened him so much? I was instantly interested in Jonas’ world and his story. I’m not counting the epilogue, which while I don’t actively dislike it, I just felt like was really out of place. But the last page of Mockingjay (before the epilogue) literally made everything in the the entire series worth it for me. After everything, Katniss finally found some security. Instantly intriguing. 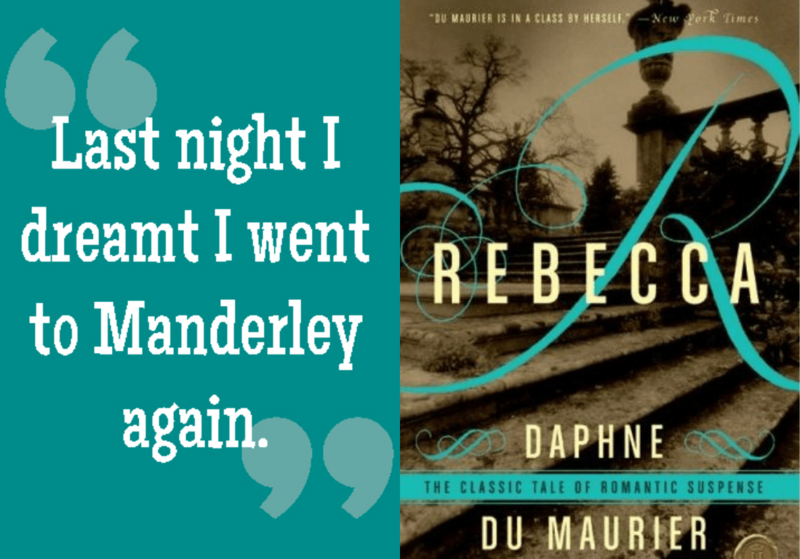 What is Manderley? 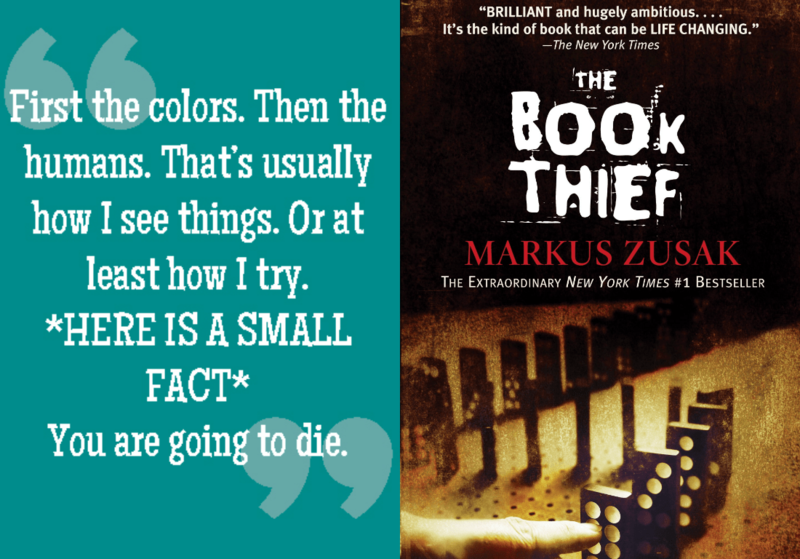 The Book Thief begins strong and ends strong, while remaining intriguing throughout most of the book. Basically, you need to read it. What are your favorite beginning and ending lines from a book? Thanks! I made the quote graphics in Photoshop Elements, and then anytime I combine images like this I use fotor.com. It’s simple to use; I upload my own images and grab the urls for the book cover images and then it’s just a matter of dragging and dropping. I’m glad to see the beginning of The Beekeeper’s Apprentice on another list, it’s one of my favorite books. I like how you included the endings to all 3 of The Hunger Games books, they were all so good and I liked seeing all of their endings together! 🙂 Thanks for stopping by my TTT list! I was happy and surprised to see it on someone else’s list! 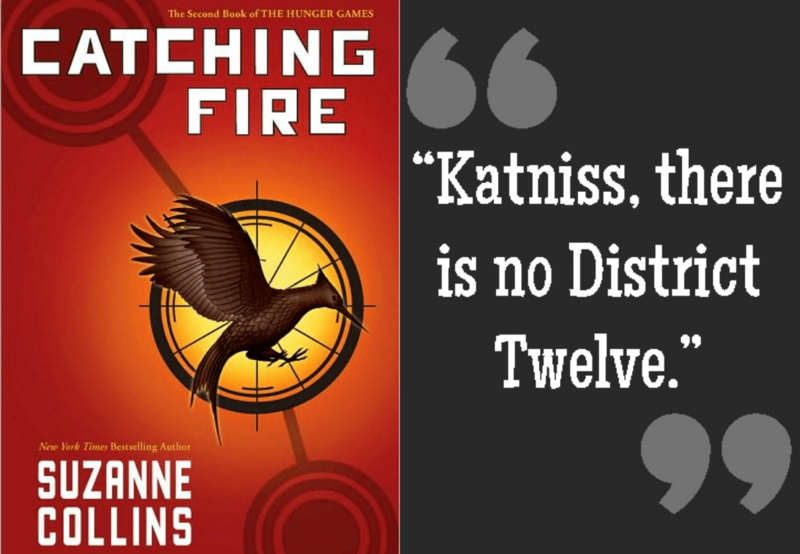 And I did love all The Hunger Games’ endings so much I just had to include them! 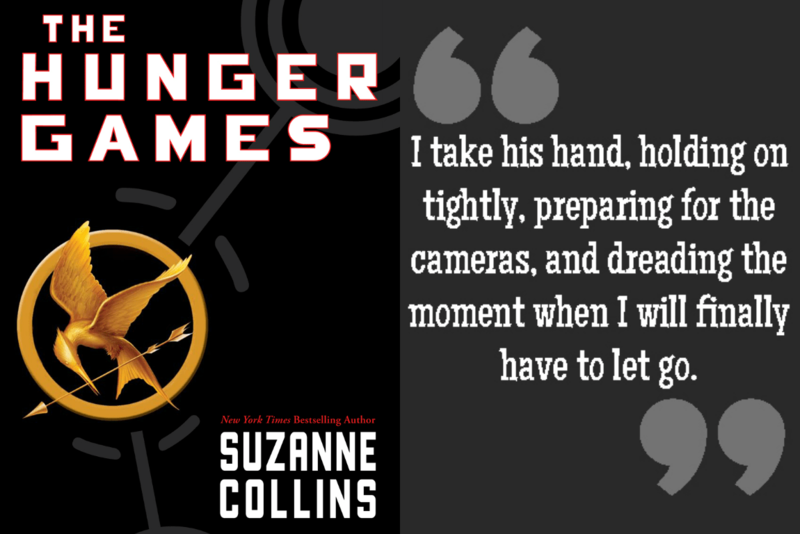 Suzanne Collins seems to know how to end a book for sure! The first two books really made me anxious for what was next! He started the story strong and ended it strong; I thought it deserved to be on there twice! You have all three Hunger Games books! :). I vaguely remember the endings of them so I definitely need to reread them before watching Cathing Fire. I just felt I couldn’t NOT include all three of them! They’re all powerful. I am kind of tempted to read Catching Fire as well with the movie drawing nearer! These are all great choices, and I think The Book Thief is fantastic — beginning, middle, and end! Great list. It is great throughout! Thanks for stopping by! I agree with so many of these. 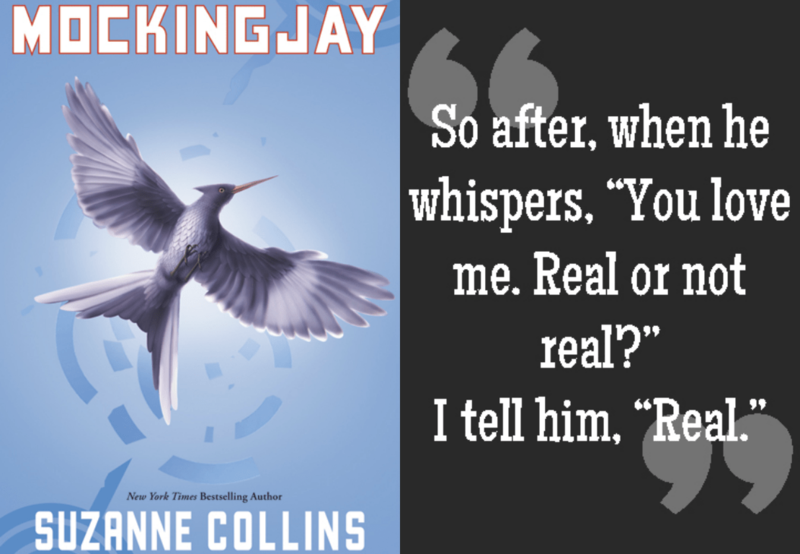 In fact, I had forgotten about the specific Hunger Games books’ endings, especially “Real or not real” even though I included the general ending as one of my favourite endings. I also had both the beginning and end of the Book Thief. 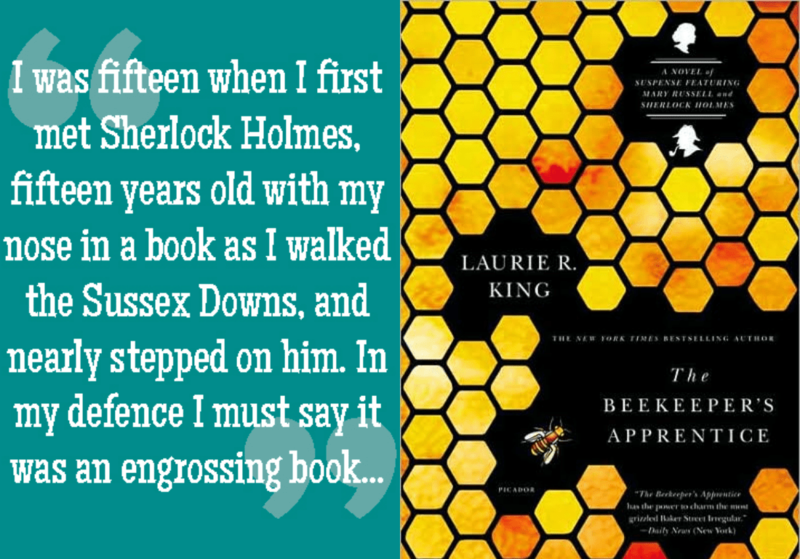 I haven’t read “The Beekeeper’s Apprentice” but that opening line alone makes me want to go out and find it right now! I read The Beekeeper’s Apprentice for a class in college, and the one part of the book that stuck out to me even more so than the beginning was this great passage about grief and guilt that I really appreciated. It’s not the type of book I would usually read, but it’s worth checking out. AWESOME picks! xD The Beekeeeper’s Apprentice sounds really intriguing and gaah, I so have to read The Book Thief soon. Rebecca’s beginning is pretty intriguing and I really, really like the Real or Not Real ending of Mockingjay as well. Definitely read The Book Thief! It’s so sad but also so amazing! Wow, I really need to read The Book Thief- those opening and closing lines are amazing. They could just put that on the back cover of the book and it would sell! I loved looking through all the quotes in this post! The whole book is amazing! “I am haunted by humans.” *sighs* That line is just lovely. I’m just reminded once again why I loved that book. As for The Scorpio Races, the ending had more of an impact for me. My heart melted and turned into a puddle of goo and I had tears in my eyes because it was just so beautiful. One of the best one-liner ending I’ve ever read. 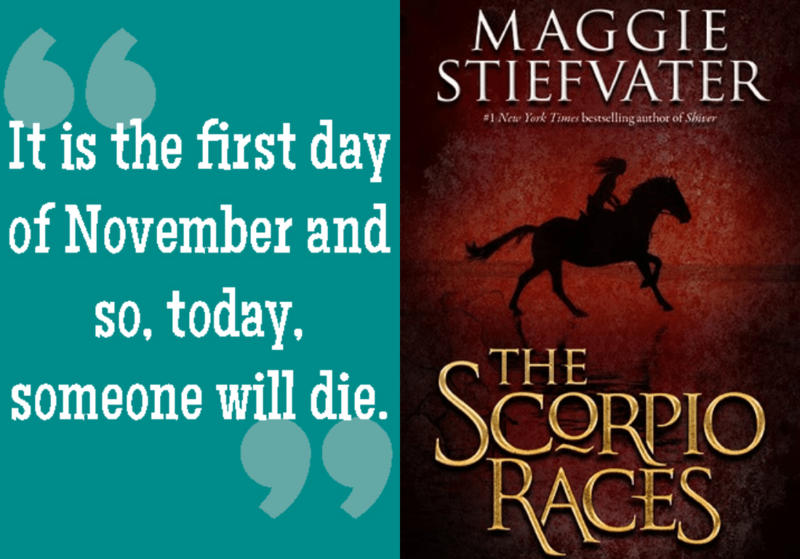 I haven’t actually read The Scorpio Races yet, so I hope I’ll agree once I do! Love the beginning of Rebecca! It definitely starts off with instant suspense! Yes to The Book Thief! Death as a narrator is just perfect, and it really is incredibly startling when right off the bat he tells you you’re going to die. Whaaa? Love that book! Death is quite the blunt narrator! It is amazing from beginning to end! Man – The Book Thief should have made my list! Your list and mine are twins. I had the same quote from Mockingjay and The Scorpio Races b/c you had mentioned it in your First Impressions post. I hope you are liking it! It was my favorite book from last year. I am enjoying it pretty well! I thought it began slow, but once Kate and Sean finally met, the story seemed to move better. I love their slow burn. Well, I thought it was too long before they met it made the slow-burn not nearly as slow as I thought it was going to be. It’s like a couple of weeks from them meeting to getting together, which wasn’t nearly as long as what I was expecting from what I had been told. That’s true. I quantify it as “slow-burn” because they never really quantify their relationship or even kiss until well into the novel. They have all this longing but don’t really act on it.